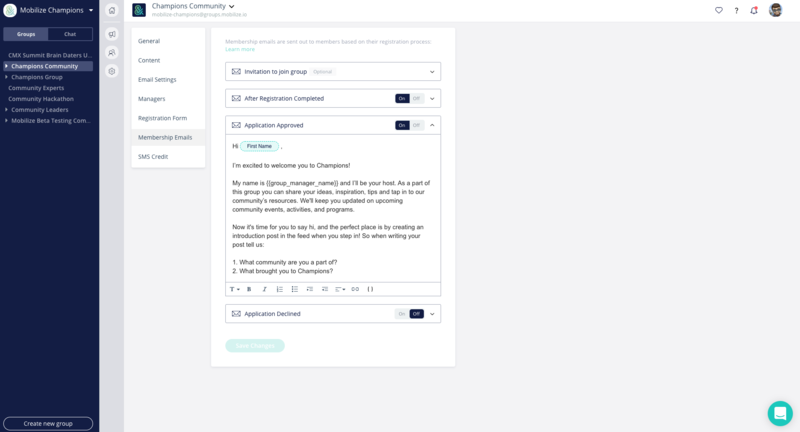 In each group, you can manage the membership emails that will be used to automate your group's application process. To customize your email templates, go to the Group Settings and then go to the Membership Emails section. Use this email template to invite your members to join the group. 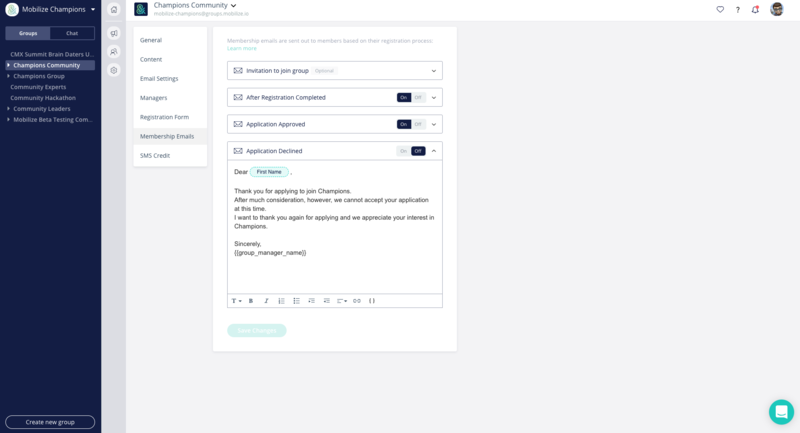 This email template is optional and not automated, every time you add members you can choose to send this invitation or just add them to your list and send them an invite later. 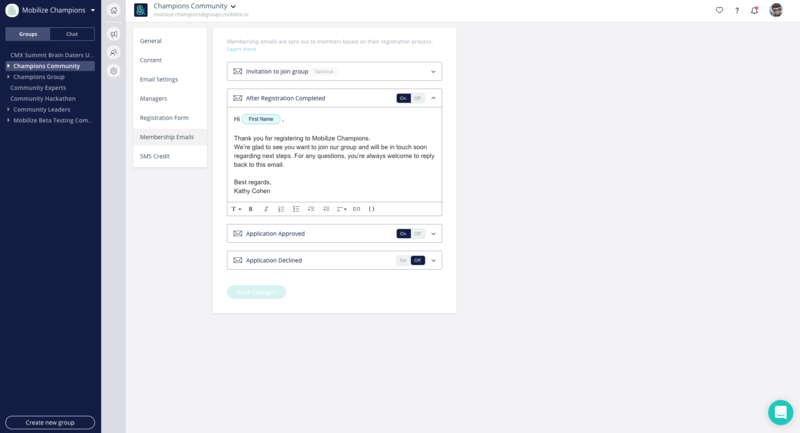 Use this email template to let members know that their application to join the group was received and their request is processed. 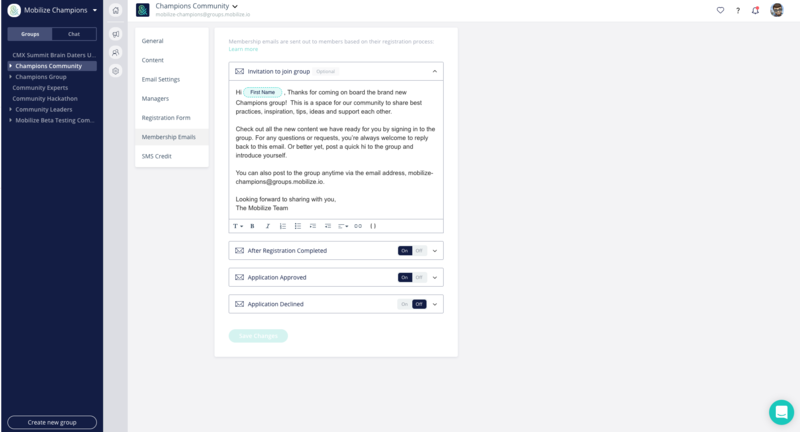 Once this email template is turned on it will automatically be sent to the prospective member that apply to your group. Use this email template to let your members know they were accepted and onboard them into the group. Once this email template is turned on it will automatically be sent to members you approve to join the group. Use this email template to let your applicants know they were not accepted to the group and thank them for trying. Once this email template is turned on it will automatically be sent to members you decline from the group.